Post subject: Do you want to make a piece for a v-set? Here is the deal. We, the designers, are looking to see what the community will come up. Here is the challenge. Come up with two non-unique fringe characters and their stats. The only rule is this if you are or have been a piece designer for the vsets, you don't get to play. Sorry If the community ask the opinions of the designers then they may give their opinion. First dead line Oct. 31. Name of the two fringe pieces. While I have submitted full stat blocks, please consider them not to be set in stone finished works. Allied characters with Rigid may Squeeze. Allied characters with Desert Skiff gain Advantageous Cover. The Skiff always stunk. A chase Huge VR but it stunk out load from day one, this unit would give it a badly needed boost. The Skiff is a Fringe movement breaker, but currently unplayable. I'd rather see a new piece boost an old one than replace an old one. The Gammoreans should have been a bit more threatening than they have ever been in this game. 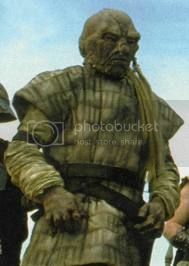 This guy was designed as a mild Yobuck/Lancer counter, kind of a Melee Zuckuss BH. Inspired by the trope of a guard with a long polearm. Add Weak Willed for flavor? 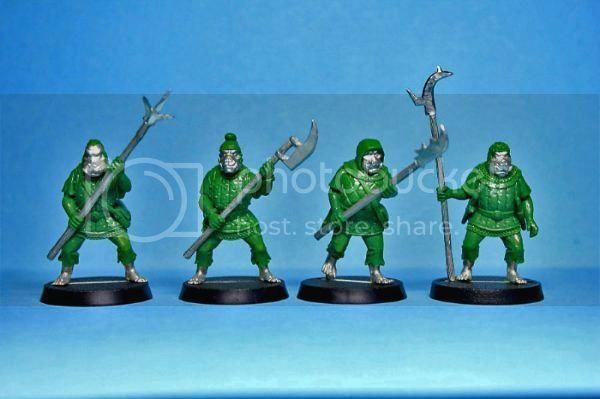 Jabba the Hutt employed a Saurin combat instructor for the gangster's Gamorrean guards. 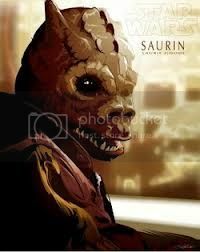 The Saurin came to hate both his employment and his employer. This piece goes conceptually goes along with the Gammorean above but helps out the original Gammies as well. When designing a Fringe commander one has to take into consideration the eligible followers, by making the scope very narrow it also narrows any unforseen abuse. Too cautious? Characters with Savage are subject to this commander effect, Savage followers gain Charging Assault +10 and Synergy (+4 Attack, +2 Defense when within 6 squares of an ally with Savage). Another Commander, this time for Savage characters who have always blown pretty hard. There has been some progress made with the advent of the Vsets but they still could use a boost. 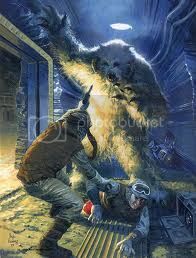 Again choice of character is because Wampas in either version always seriously lacked anything worth playing even though it is a movie creature that is easily recognized by all walks of life as part of Star Wars. Don't ask me where I got it, do you want it or not? Sets up a mini-sub Faction, helps a couple existing subfactions. Gives a bit of body guard ability to counter deep strike Assassination strategies. 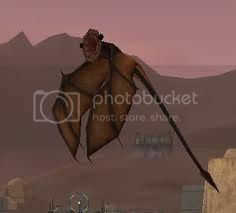 The vynock is an atmosphere-breathing subspecies of the mynock. Cheap to be brought in through Lobo. I thought the concept of Attach was perfect for the Mynock, but we already have a Mynock. 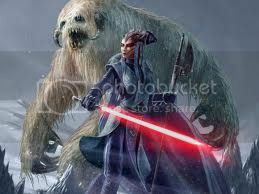 Poking around I Wookipeedia I found the Vynock. Last edited by R5Don4 on Sat Oct 13, 2012 8:03 pm, edited 1 time in total. Reposting this. Apparently you guys aren't reading. "The Kiffu Guardians or Guardians of Kiffu, were a group formed by the Kiffar to patrol the prison world of Kiffex and provide law enforcement on Kiffu and its sector." 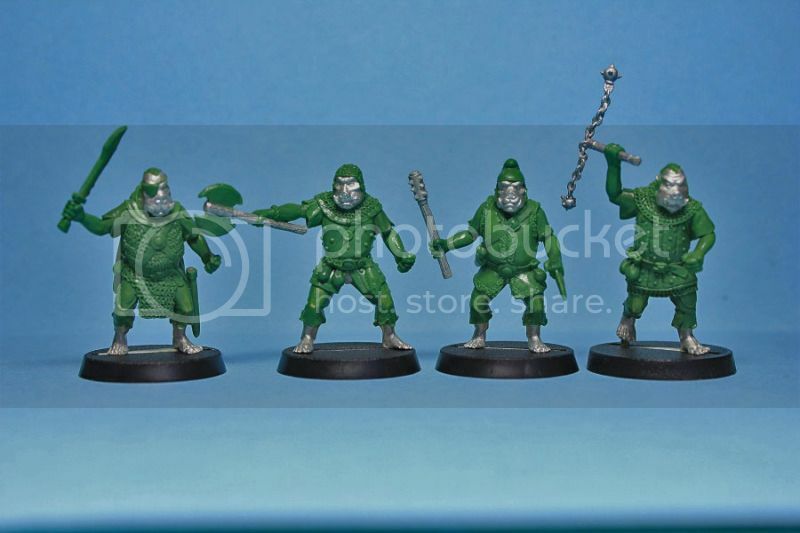 Nekghouls are considered to be the frightening next stage of Rakghoul evolution. A corruption of the force made manifest. LOLZ you gull darn kids. Using the throw a ton of crap at the wall and see what sticks method is what I'm going for at least. See anything of interest? Names are there, there's two you can choose there. If you require me to edit down my post and give you only what is asked for as it asked for, I will. I'm not trying to break any rules, just designing openly. Actually I think the rules DO need a little more explanation, so I'm going to give help, despite saying not to do that a scant 2 hours ago. Keep in mind that you guys are designing these pieces. As in, the community. We aren't asking for ideas for what you want US to design, we want YOU to do it. Whatever you finally come up with will obviously have to pass by the designers for whatever set they get inserted into (and the designers have final say on any changes they want made to it), but this is a community project. The first step to making 2 pieces is, well, deciding what 2 pieces you guys want to make. Throwing out ideas now is a fine idea, but the deadline for at least having the 2 names decided is the end of this month. If you don't have the names figured out by then, the project basically ends, because we don't want this to go on forever and if the community can't agree on things as simple as what the names of the characters will be then we don't want to hassle with creating a full stat card (of course, if you do miss the deadline, feel free to talk about what you would theoretically want to do with the pieces as long as you want, but it might or might not get put into any V-set). So yeah, this is a challenge, and kind of a contest. Step 1: pick the names. You guys decide, and have to have some kind of consensus by the end of the month. If there's no consensus, challenge failed pretty much. This is to help everyone get a sense of how the design process works, because we work with deadlines the same way. Some one suggested a bouncer above, which I like, but I think it should look more like this. I remember them as being all things good, absolutely not savage. Please don't pick Glass Jaba or Inflatable Rancor. We are already working on stats for them for V-set 42. Ok I vote for Sector Ranger and a Jensaari Adept. Last edited by R5Don4 on Fri Oct 19, 2012 5:25 pm, edited 61 times in total. * another 3 point Fringe piece of some sort. Brutes to swap, Mice for CEs, Uggies for doors, and all for activations. If you don't need swap, CEs, or doors, there should be another option to do something else useful with those 3 points. Not too particular about what that is - just tired of the same activation filler over and over for the past 3 years. 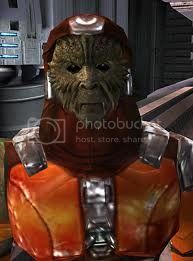 I'd vote for a Rodian or Duros because there are lots of unused options there for RMs. * a 14 point Force user (preferably with a lightsaber). The only Fringe force users from 11-19 are Logray and 2 tech pieces (Baran Do Sage and Felucian Shaman). A 14 point minor melee threat would be a nice option. For that matter, the only 11-19 Fringe offensive melee piece that sees play is a Rakghoul (excluding several tech/gimmick pieces in that range). R5Don4, thanks for compiling that list. I have a question about the 'rules'. What does it take to get a consensus? Unanimity is probably an unrealistic goal. Majority rules? 2/3? 3/4? Is it just the general feel of what people say in the forum or will we have formal votes? Everybody gets a vote or is there a level of participation required to get a vote? Or are these things just left up to our discussion, too? This type of post is much more productive than a pair of random names or a block of stats without a reasoned explanation. Designer egos aside we should take this opportunity to make pieces good for the game to fill a void where we see it however small it may be. At this point we are just picking the name but that seems a bit cart before the horse without a concept behind the name. Some are relatively self explanatory such as the Bespin Guard dude that keeps popping up as the initial leading choice. Any previous suggestions I would encourage to be expanded upon with the basic concept, role the suggested mini would fill. How do we come to a consensus as to what the two pieces names will be? It appears that is up to us to figure out. I think we'll have to go with majority rule here and trust the mods to fetter out any smurf accounts based on IP address. I'll keep updating my previous post to keep track of the voting and I'll compile all of Flying Arrows suggestions as only two different ones as he only gave us a plethora of options for names of the two minis.